I've been on the hunt for a shampoo that actually makes my hair feel clean. As I am a little addicted to dry shampoo It does tend to leave a build up which makes my hair feel gross after about a day. 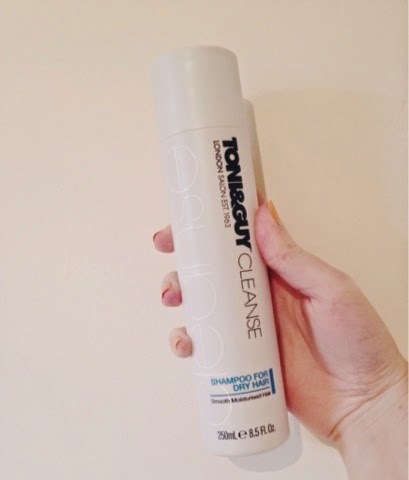 So firstly I bought the Toni&Guy Cleanse shampoo for dry hair. It's a recent range for salon perfect hair but on the high street and I jumped at the chance to try it as it had an introductory price of under a fiver. Nice! Immediately I felt a difference when using it as it lathers up like a dream. Giving you that salon experience. It felt easier to dry as in not so dense when wet. Leaving my hair glossy and lightweight. I'm not sure if my hair looks any less dry but it sure gave me a boost in confidence. Secondly I had heard good things about the Fudge De-Gunk Deep Clean Shampoo. I have got to say this is my favorite purely for the smell! It is called Citrus mint and my gosh does it smell delicious! It reminds me of a mixture between toothpaste and Lemon and lime. A new scent combination for me but I was in love. 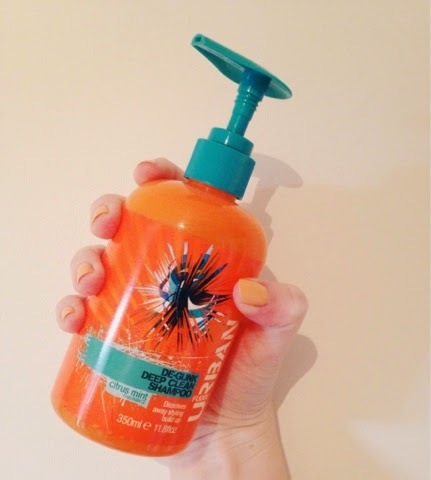 This also lathers up gloriously making you feel like your hair has had a major deep clean. I have been using this once a week to get rid of any product that has been hiding. I was frightened it might strip my colour but it hasn't at all. Just left my hair feeling wonderful! I would recommend both of these if you have a struggle with styling product build up.